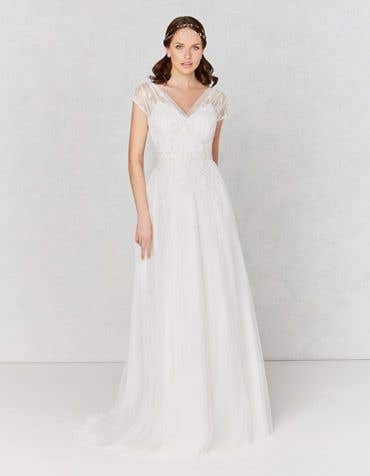 Small, neat and delicate our collection of cap sleeve wedding dresses are perfect for brides-to-be looking for an elegant and classic style. 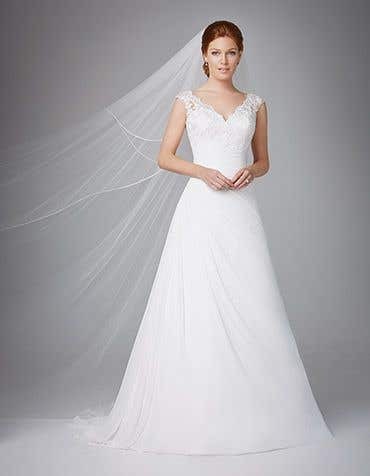 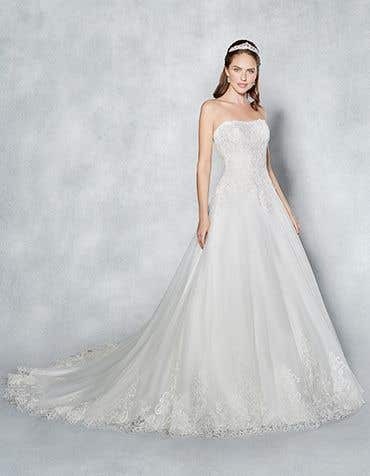 A cap sleeve wedding dress often features an illusion neckline with luxurious lace embellishments. 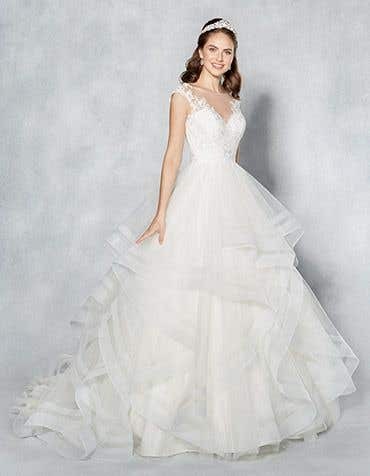  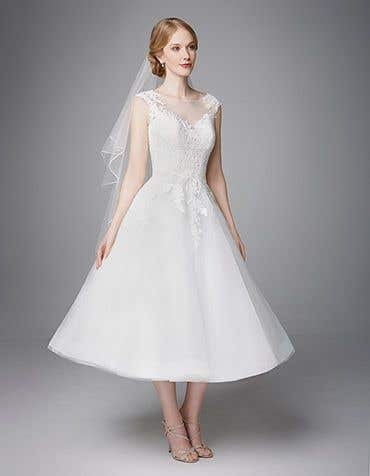 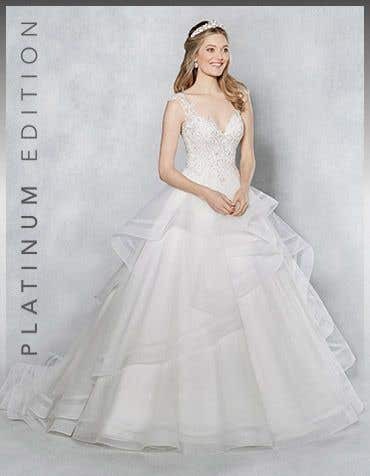 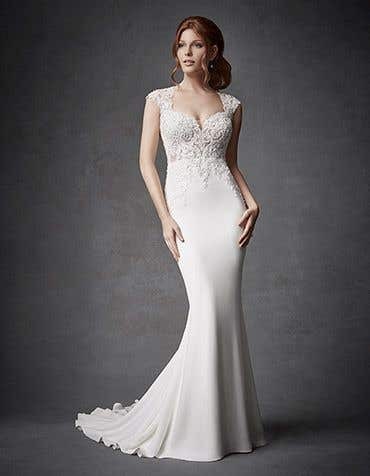 A classic style, cap sleeve wedding dresses are the perfect in-between if you don't want full sleeves or you don't want to expose your shoulders. 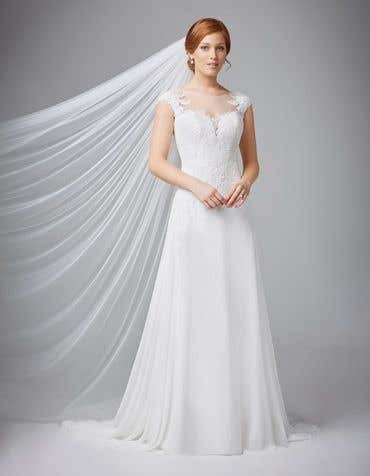 They super flattering, as they enhance the collar bones and look so pretty with lace embelishments.